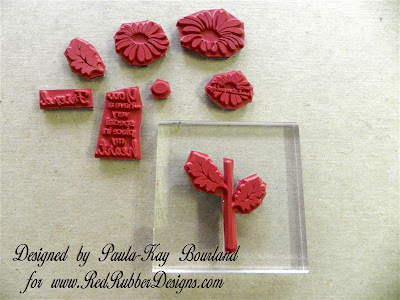 set is T3350 Place in My Heart by Red Rubber Designs. Cut a piece of Creative Cling Cushion to fit the size of your rubber stamp set. The foam cushion has paper on both sides. One side is sticky and the other is the cling side. 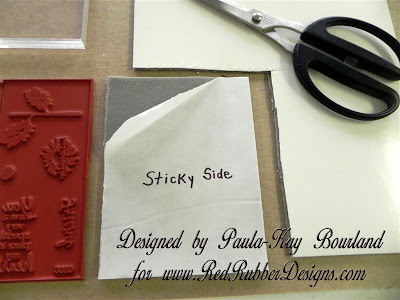 Remove the paper from the sticky side of the cushion and adhere the back side of the rubber stamp to the sticky foam. 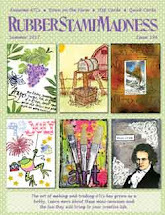 Begin trimming the stamp making straight cuts. Do not round your cuts around the image because that makes a beveled edge. You want the rubber and the foam to be a straight edge at 90 degree angles. 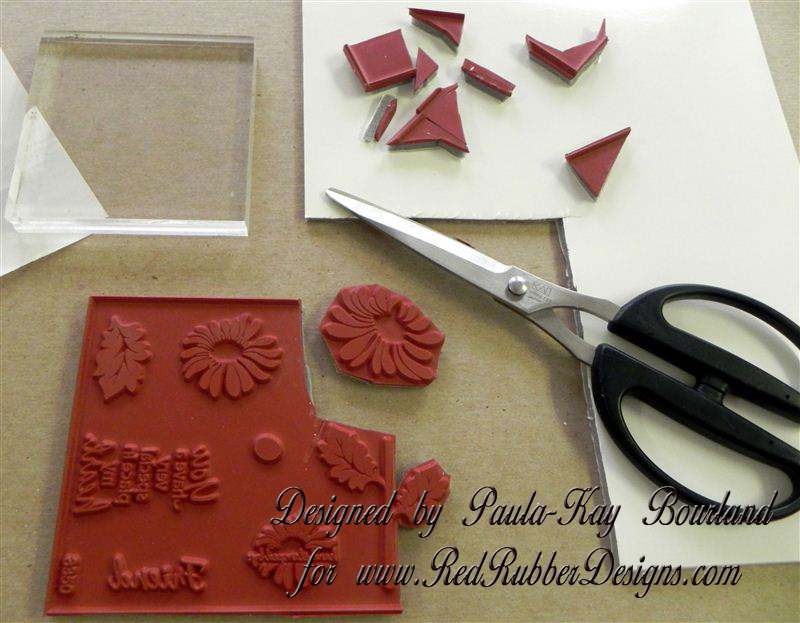 Continue cutting close to the image so that you will be able to stamp a clear image without picking up ink from excess rubber. 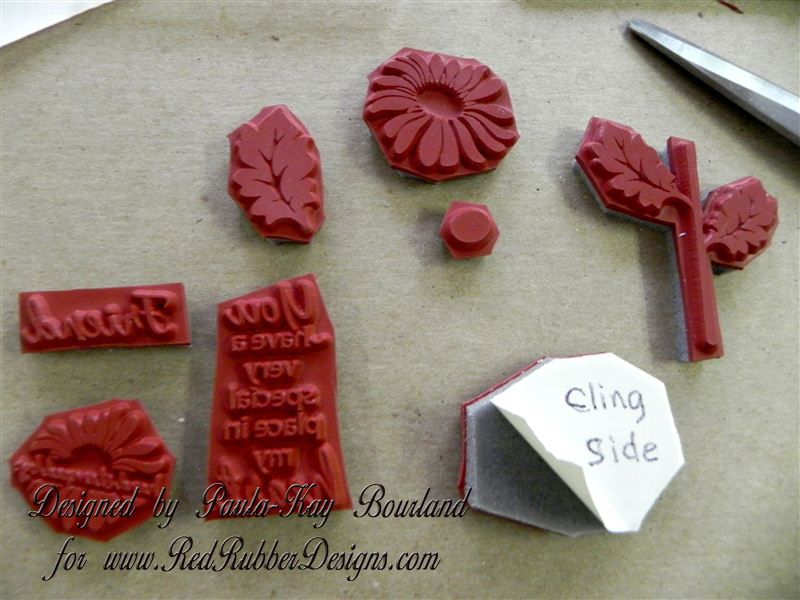 Complete cutting all pieces of the stamp set. 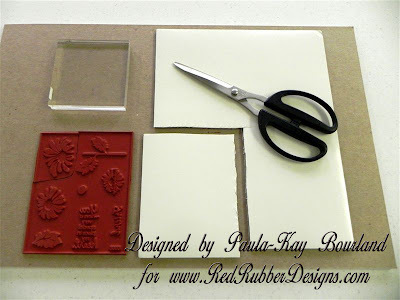 Remove the paper from the cling side of each cut-out stamp. 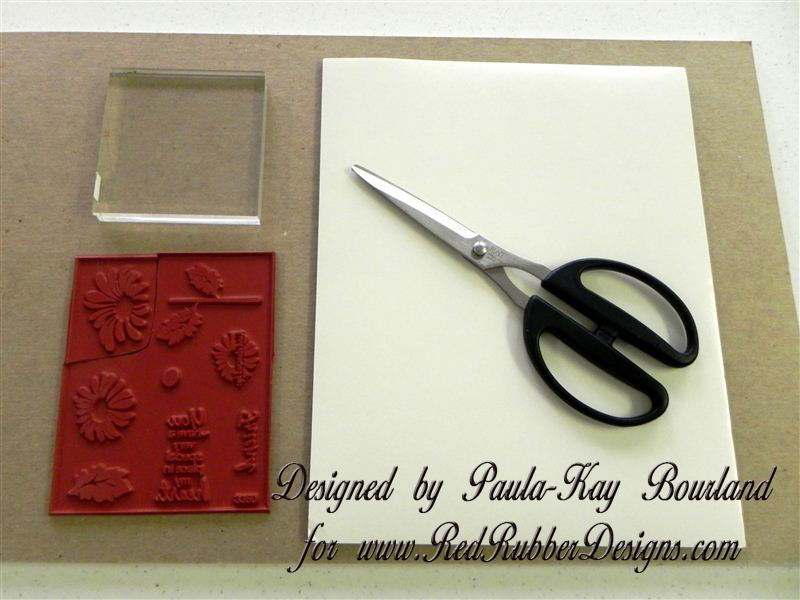 Place your stamp on an Acrylic Block. Now you are ready to stamp! 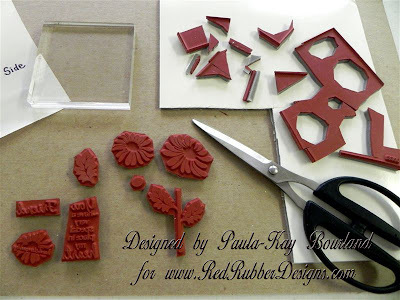 You can find this tutorial as a free download at Red Rubber Designs. Thank you for your feedback - we love to hear from you! 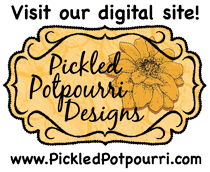 ANNOUNCING OUR GRAND OPENING CELEBRATION!